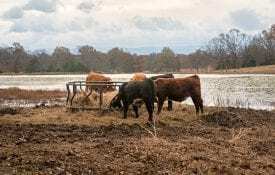 The threat of catastrophic loss due to disease outbreak is a primary concern for the Alabama beef industry. Beef producers should be aware of the risks and procedures to eliminate threats and the need to develop a biosecurity plan. Biosecurity is an innovative approach to managing the risk of disease introduction and spread on your farm or ranch. An effective biosecurity plan provides practical steps to help livestock producers determine the health status of their herds, keep the herds healthy, and identify and manage the risk of disease introduction and spread on their operations. 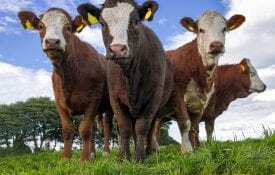 Beef producers should be aware of potential infectious disease threats and the procedures needed to keep those threats off the farm. Why is a biosecurity plan important? Biosecurity is an important part of animal production, regardless of facilities, size, or type of operation. 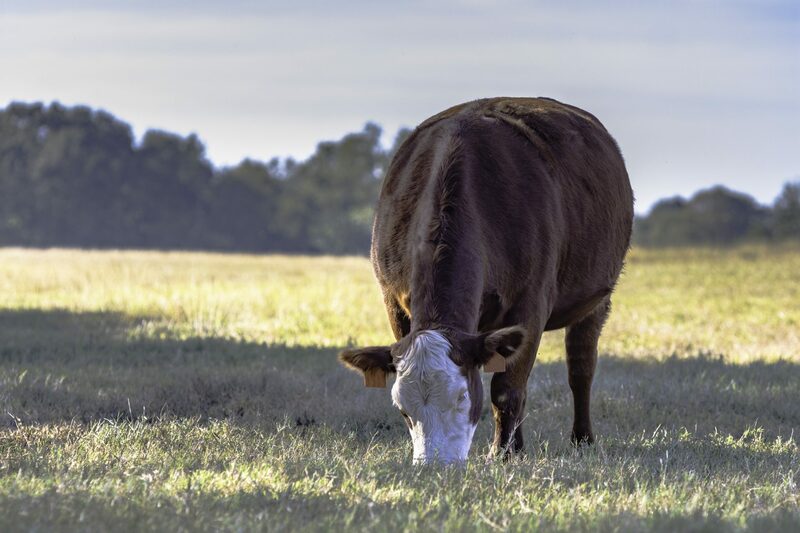 The threat of catastrophic loss because of a disease outbreak, either domestic or foreign, is constantly relevant to the Alabama beef industry and should be important to all producers. Keeping the herd healthy to produce wholesome and high-quality products is also important for the health and satisfaction of consumers. When consumers are satisfied with beef products, beef demand rises, directly affecting the economic sustainability of cattle production. The output of America’s farms alone contributed $136.7 billion in 2015—about 1 percent of gross domestic product (GDP), the total value of goods produced and services provided in a country in one year. However, this number does not reflect the products that rely on agricultural inputs in order to contribute additional value to the economy. The total value added to GDP in 2015 by agriculture, food, and related industries was $992 billion. With such a big impact, taking the proper safety measures to avoid losses from disease threats should be a top priority. the animal and livestock industry across the nation, greatly restricting or prohibiting animal movement and trade. Understanding the consequences of improperly introducing new animals or people to your farm or ranch is vital. Establishing and implementing a biosecurity plan can help you manage these risks appropriately. Aerosol transmission occurs when disease agents contained in droplets pass through the air from one animal to another. Close proximity of infected and susceptible animals is typically required for disease transmission. Direct contact transmission of disease agents occurs when a susceptible animal directly touches an infected animal or its open wounds, mucous membranes, blood, or saliva through nose-to-nose contact, rubbing, or biting. Fomite transmission occurs when a disease pathogen is carried or spread from one animal to another by an inanimate object, such as boots, buckets, needles, grooming equipment, etc. Vehicles, trailers, and even humans can also serve as fomites by spreading disease through traffic transmission. Vector-borne transmission involves the spread of disease through a living agent. Ticks and mosquitoes are biological vectors, commonly spreading disease after becoming infected from a diseased animal and injecting the disease agent into another animal. Flies are a common mechanical vector, simply carrying the disease agent on their body and passing it from animal to animal. How does a farm or ranch implement a biosecurity plan? Assessing the health of your herd is an important first step in managing a biosecurity plan. To determine the health status of your herd, it is critical to establish a veterinary-client-patient relationship (VCPR). Your veterinarian must be familiar with your farm and your cattle. He or she can use this knowledge to develop a diagnostic testing program, if needed, for diseases that may put the cattle on your farm at risk. 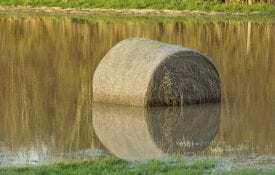 Ask yourself, What do I perceive as the biggest disease risk on my farm or ranch? Understanding your own perception and tolerance of risk is something worth discussing with your veterinarian. Assess the risk areas on your farm, based on a routes- of-disease-transmission approach (discussed below). Once you and your veterinarian have identified risk areas, determine disease management measures, prioritize, and implement them. The success of any biosecurity plan involves communicating the importance of your plan to all people involved with your livestock operation. An effective biosecurity plan will control several diseases at one time. Common infectious diseases, such as bovine viral diarrhea virus (BVDV), Johne’s disease, and calf scours, as well as new or foreign animal diseases are minimized by assessing disease risks and implementing management steps. With an effective biosecurity plan, there is less need for detailed knowledge about individual diseases and more need for an understanding of disease transmission. Clean and disinfect your truck and trailer after hauling cattle. Anyone hauling cattle for you should do the same. Post signs indicating that a biosecurity plan is in effect on your operation. Have your veterinarian inspect the animal before purchase. Buy from a reliable source. Isolate herd additions and test for appropriate diseases before allowing them to commingle with your herd. Identify isolation areas prior to purchase. A minimum of 30 days is the recommended isolation period for cattle, but work with your veterinarian to determine the most appropriate time for your farm. Do not cross-use shovels, feed buckets, brushes, or other equipment between isolated animals and other livestock. Ensure that workers clean their hands and clothing after working with isolated animals. Limit and/or avoid contact with animals from other herds. Recognize the fact that you are also a potential source of contamination for your herd. If you are around other cattle, especially commingled cattle (those at sale barns, fairs, and shows), shower and change clothes before working with your livestock. Selecting replacement animals from herds with a comparable health program and disease status will reduce the chances of disease introduction. Before the visit, make all visitors aware of the biosecurity considerations for your farm. Ensure that all visitors are dressed appropriately. Provide clothing, such as coveralls and boots, or make sure visitors are wearing clean clothing and not clothing that was worn while having contact with other cattle. 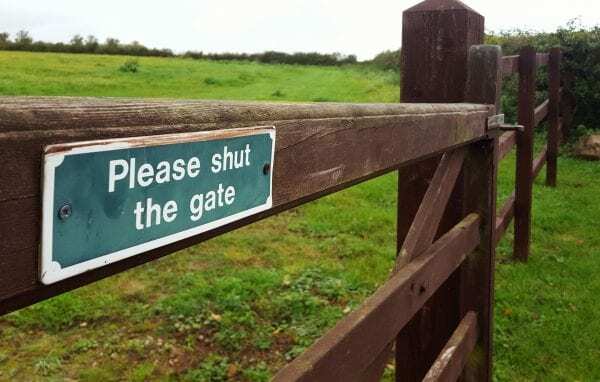 Insist that all visitors follow the flow pattern you set for your farm. Contact your Animal Science and Forages regional Extension agent and your herd veterinarian for help developing and implementing an effective biosecurity plan for your farm. Download a PDF of Alabama Beef Quality Assurance: Biosecurity, ANR-2465.